We’re all about platforms today, there are even companies that offer Platforms as a Service. It isn’t surprising, because a platform can provide access to a huge amount of functionality at a fraction of the cost of development. This works because those development costs are amortised over a large number of customers, all of whom need roughly the same features and benefits. Add to this a little ‘secret sauce’ and you’ve got yourself a product. Another reason why platforms work is because they are an effective antidote to the rate of technological innovation and, as a by-product of this, the rapid attrition of competitive advantage. If it takes 18 months to develop a product that only has a time-in-market of six months, it becomes increasingly difficult to see a return on that investment. Getting to market quicker using a platform that costs a lot less to develop means OEMS can still see a return. The key to taking a platform approach to product development is differentiation; what can you do to the platform that adds value your customers are prepared to pay for. The ‘bigger’ the platform the harder it becomes to differentiate, beyond a little window dressing. Another important consideration is how much effort does it take to add that differentiation, without losing the benefits of using a platform. Platforms can, for example, provide low-cost compliance to international standards, in the form of a Wi-Fi module or a USB interface. This enables developers to integrate features that, on their own, may add little value but enable their product to be part of an ecosystem and the opportunities that can offer. Of course, in this case differentiation must be limited to only those features that do not invalidate that compliance, otherwise the benefits of using a platform would be lost. This isn’t normally a problem but it can limit the value an OEM can add, leaving them vulnerable to their competition. The ideal platform would provide the right combination of standardized features and potential for differentiation, in an ecosystem that is established but still experiencing rapid growth. Of the many that might fit this profile, the USB interface is probably the best known. USB is, as its name implies, ubiquitous. It isn’t simply an interface; it’s a robust but evolving standard that supports a wide range of peripheral classes and power delivery. USB provides a growing number of products with a way to extend their own functionality, which, in a way, makes it the platform’s platform. Before we disappear down that rabbit hole, let’s consider how anyone can add further value to such a ubiquitous platform. In general, it would require a deep understanding of the USB standard so that the value-add features can be integrated alongside the certified functionality. Ordinarily this would mean either writing or licensing a USB stack, integrating the value-add at a deep software level and then having the entire product certified, with all the uncertainty and potential expense that involves. An OEM would need to go through this process, even if they wanted to differentiate something as simple and commoditized as a Flash drive. The IoT has brought renewed focus on security in general, highlighted by the ease with which malware and viruses can spread from one computer system to another. While firewalls can be effective in protecting these systems, they can and have been breached using something as simple as a Flash drive. This can be as straightforward as infecting a Flash drive using a non-secured computer on one side of the firewall and inadvertently plugging that Flash drive into another computer located on the other side of the firewall. To address this new version of an old threat, manufacturers are adding security features to Flash drives, such as biometrics that use a fingerprint sensor to validate the user before allowing a computer to access a Flash drive. While the biometric sensor can be easily integrated into the Flash drive, the challenge comes with supporting it. Through an innovative platform approach to developing its memory controller, Hyperstone can support this and many other forms of differentiation in Flash drive design. 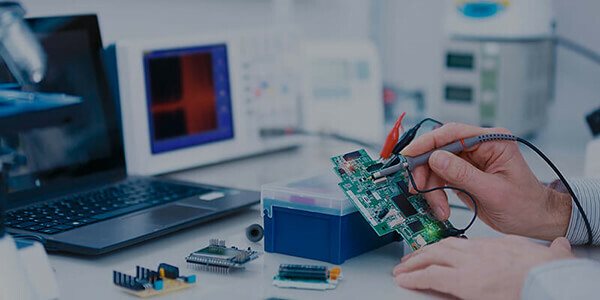 Instead of coding at the stack level, the controller’s firmware provides an Application Programming Interface (API), or Application Peripheral Interface that allows a developer to access the peripherals of the controller. This means a fingerprint sensor can be integrated and controlled using simple API calls, at a much higher level of abstraction and without having to modify the underlying stack in any way. Not only does this make it easier to differentiate an otherwise standard product, it does it in a way that doesn’t introduce additional design effort or risk. Platforms are here to stay and they’re likely to evolve rapidly, particularly through the adoption of APIs. As USB is already a strong platform, building on its success using a flexibly solution like the Hyperstone memory controller, customizable through a powerful and flexible API, gives developers access to a huge ecosystem with minimal additional development effort.